New York continues to be one of the best places for aspiring game designers, offering a variety of quality game design schools. New York offers abundant recreational and cultural opportunities, along with a wealth of resources and business opportunity nearby. It’s easy to see why art and design schools (and students) thrive here. 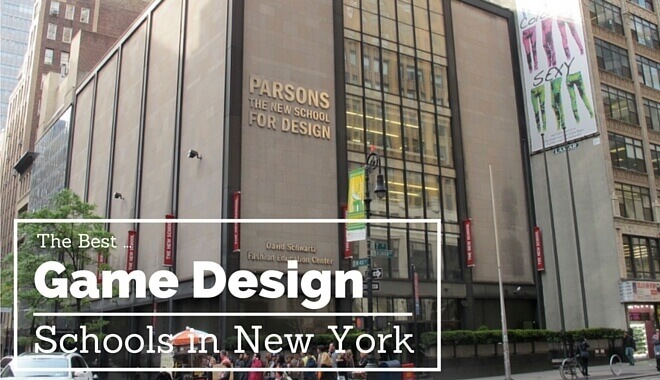 With that said, New York doesn’t offer many traditional university options that rank highly on our list of best design colleges. For this reason, we recommend considering all options. Including specialty schools. This approach trades some of the prestige from schools like MIT for more in-depth knowledge and experience in game design itself. A trade off we don’t mind. In the list below you’ll find all types of game design college programs. Traditional 4-year schools as well as specialty schools, and even online options. However, please note that all schools listed offer accredited degrees. We’ll also highlight the most popular schools based on professor reviews, employment statistics, and feedback from readers. As for career opportunities in the state, New York offers some decent options. Although states like California, Texas, and Florida are a little better. It’s worth noting that the East Coast in general has plenty of large, successful game studios— just that not many of them are in New York State. The Bachelor of Fine Arts program lets you use the latest technologies and software while learning game design, physical computing, motion graphics, data programming, computer graphics, animation, and more. The Master’s degree continues this education while also integrating the development of mobile and web applications as well as film, video, and audiovisual performance. You’ll find just what you’re looking for at this school if you want either an undergraduate and/or graduate program that teaches you how to build virtual game worlds with cutting-edge technology. The major downside is that there is a lot of computer science involved, which won’t sit well if you know you’re not good at (or have no interest in) programming. The average cost of attending The New School as a Baccalaureate-level undergraduate is $21,780 (12-19 credits), or $1,480 per credit. Residency fees range between $15,660 and $20,550 and meal plans range between $770 and $1,635. New York University’s Tisch School of the Arts is known across the United States for offering such a wide range of degrees across dozens and dozens of fields. Also impressive is the number of programs you can look into if you want an education in game design. The Minor in Game Design is only 18-credits and an excellent way to see if you really want to design games for a living. Meanwhile, the four-year B.F.A. offers a much more solid education on the foundations of game development, both on and off the computer. This includes courses in the areas of visual design, programming, audio design, and even business. The M.F.A. continues your training with a great 2-year program that ends with you working an entire semester with a group to create your own video game. Among the many positives of studying here is the access you’ll have to the Media and Games Network at the NYU Brooklyn campus, Game Center Open Library, and NYU Game Center. As for any negatives, there really isn’t one other than the fact that it isn’t the cheapest school in the state– but it also isn’t the most expensive either. Few schools in New York offer as many programs as here that prepare you for a career in game development. These include a B.S. in New Media Interactive Development as well as both a Bachelors and Masters of Science in Game Design and Development. With an emphasis in programming, the Game Design and Development program trains students to create game systems and engines as well as learn the difference between good and poor game design. The New Media Interactive Development is a better choice if you’re more interested in the development of casual games for web and mobile. If you want a core computing education that also allows you to explore other areas in entertainment technology, this school is for you. However, anyone who wants to become a narrative designer or learn about the artistic side of game development should probably stay away from the programs offered here. The average cost of attending the Rochester Institute of Technology as a full-time graduate student is $19,344 per semester, or $38,688 per year. Note that the Masters of Science in Game Design and Development program can be completed in two years. Bramson ORT College is a small two-year technical college based out of the Metropolitan New York area. For aspiring game developers, there is a Computer Information Systems Associate Degree with a Game Design Concentration. As one of the few colleges that offer a concentration in Game Design, Bramson ORT College is perfect if you’d like to receive training on both the creative and technical side of game creation. This includes courses in 3D modeling, character development, level design, interactive storytelling, digital animation, and more. The Game Design program is only two years and offers credits that can be transferred to a four-year program at another school. Worth mentioning is that both the student retention and graduation rate at Bramson ORT College is a very low 29-35%, which means most students don’t enjoy it enough to stick around. The average cost of attending Bramson ORT College was $10,440 in the 2012-2013 school year. Long Island University has been around for almost 100 years and is currently one of America’s biggest private universities with more than 500 degree programs and an annual student body of 20,000. They offer a Master of Arts in Digital Game Design and Development. The B.F.A. in Digital Game Design and Development promises to prepare you for a position as either a producer, visual designer, game designer, or programmer. The Master’s degree is also great if you want to continue developing your game creation skills. In just two years you’ll receive training in game design, computer programming, and visual design while you work on both solo and group projects. A 15-credit minor Minor is also available. Having both a Minor and B.F.A. to choose from is a huge plus, especially when you have the option to continue with the 2-year graduate degree program. The fact that so many projects are required, including a capstone thesis project, also means that you’ll come out of here with a very impressive portfolio. A negative about this school is that according to college information sites, most students do not graduate within the expected time. Not only that, nearly half transfer away. The average cost of attending Long Island University – C.W. 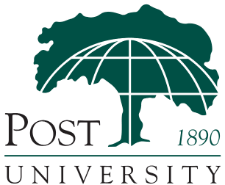 Post Campus was $1,010 for the 2013-2014 academic year. Also required is a university fee of either $850 (full-time) or $425 (part time). The second-old private engineering school in the U.S., NYU Polytechnic School of Engineering has for a long time served as one of the best schools in the state. At this school you have the option of both a Bachelor of Science and Masters of Science in Integrated Digital Media. The strength of both the Bachelors and Masters of Science degree is its focus on a wide range of game development areas. This includes app development, computer programming, 2D and 3D graphics interfaces, augmented reality, and more. There is also an accelerated version of the program in case you want to finish up faster. Between the undergraduate and graduate degrees you’re getting one of the most well-rounded gaming degree programs in the state. The ability to earn both the Bachelor’s and a Master’s degree in an accelerated manner is a big plus if you’re interested in completing your degree faster. The downside is that this school’s tuition cost is pretty high at more than $40K a year. The average cost of attending NYU Polytechnic School of Engineering was $41,328 in 2013. HASS is home to five academic departments that each offer several programs that focus on delivering an innovative, high-quality education. Their excellent video game design degree is a Bachelor of Science in Games and Simulation Arts and Sciences. One of the things you’ll love about the Games and Simulation Arts and Sciences program is its frequent goal-oriented team experiences that pair well with the courses required. Among the varied courses you can look forward to are Art for Interactive Media, Game Mechanics, Character and Story for Games, and Experimental Game Design. As you saw from the courses we listed above, this versatile program is a great choice if you want to get involved in every aspect of game development. However, you will need to learn at least one programming or scripting language to complete the program, which might turn you off if you already know computer science isn’t your thing. The average cost of attending Rensselaer Polytechnic Institutes as an undergraduate (12 to 21 credit hours a semester) is $34,900 per academic year. This includes fees required for the use of apparatus, the gymnasium, and athletic fields. The College of Saint Rose is perfect if you want to receive an education at a school that is neither in the middle of nowhere nor in a bustling city. Offered here is an undergraduate certificate program in Game Design. The Game Design certificate program is a good choice for any aspiring game designer looking to break into the industry as a programmer. The seven courses required for the certificate are Intro to Programming, Windows Program 1, Windows Program 2, Artificial Intelligence, Game Design 1, Game Design 2, and Programming Mobile Devices. What is great about this certificate program is that it gives you a good taste of what you’ll need to be a game designer on the technical side of game creation. At the same time the drawback is clear: there is no two-year, four-year, or graduate game design degree program at this school. The average cost of attending The College of Saint Rose as a full-time undergraduate (12 to 21 credit hours a semester) is $28,820.00 per academic year. Room fees for a doubles room is $5,974.00 while a meal plan will cost you around $5,904.00. The Fashion Institute of Technology is one of those schools people across the world recognize, mostly for its fashion, art, business, and communications programs. Now future game developers can also find interest in this school thanks to their Bachelor of Fine Arts in Computer Animation and Interactive Media. Students taking the Computer Animation and Interactive Media program will learn all there is to know about creating virtual worlds, 3D models, and animation. You’ll also get to learn other important aspects of world building such as lighting, camera, sound editing ,scripting, storyboarding, rigging, music, and more– all in only two years. Perhaps the greatest strength of the program is its emphasis on reproducing a professional work environment, which means you’ll get to experience what it’s like to work in an actual game studio. The only problem is that only a two-year B.F.A. is offered, which means you’ll have to look elsewhere for something more comprehensive and indepth. The average cost of attending the Fashion Institute of Technology as a Baccalaureate-level undergraduate is $3235.00 per semester. Note that the Bachelor of Fine Arts in Computer Animation and Interactive Media program can be completed in two years. Vaughn College boasts one of the most ethnically and economically diverse student bodies in the area with more than 90% receiving some kind of financial aid. Offered is a Bachelor of Science in Mechanical Engineering Technology with an emphasis in Computer-Aided Design. This challenging yet worthwhile program will prepare you to be proficient in all aspects of computer-aided design. This includes 3D graphics, interactive multimedia, animation, and various software programs. The Computer-Aided Design track offers even further training in 3D graphics while you use CATIA software to design and analyse structures. The average cost of attending Vaughn College of Aeronautics and Technology as a full-time undergraduate is $10,940 per semester. Residential hall rates range from $4,225 to $5,712.50 per semester, depending on if you have a Single, Double, Triple, or Quad room. There are four Meal Plan options ranging from $880 to $595 per semester. For those interested in game design, but would like flexible scheduling, or an essential introduction to video game design, we recommend Post University’s accelerated online program. This Accredited Game Design Certificate offers transferrable credits, career assistance, and financial options for beginners, or those too busy for full-time classes. Upon graduation, you will receive a certificate and possess both the conceptual knowledge and skills needed to design 3-D interactive games for entertainment. 3. Complete the rest of the short form – That’s it!